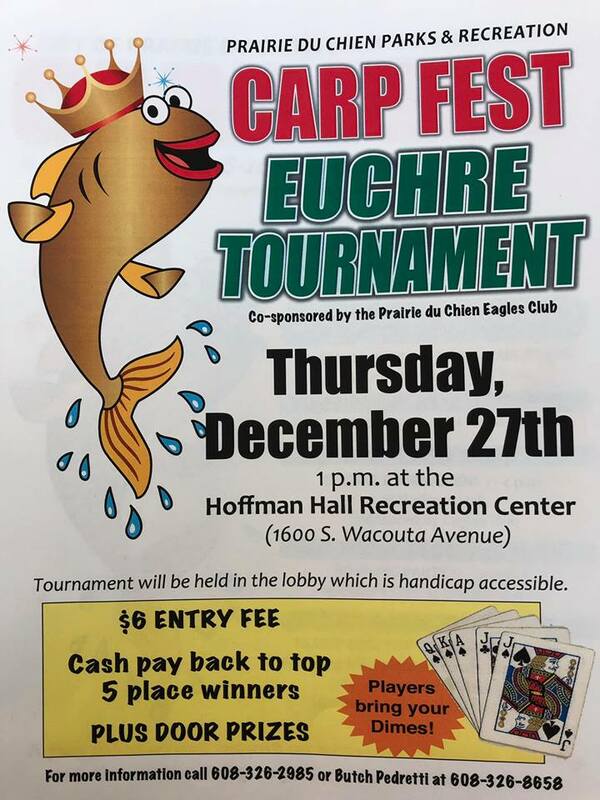 The Lucky the Carp Coloring contest is sponsored by Prairie du Chien, WI, Parks and Rec Department. 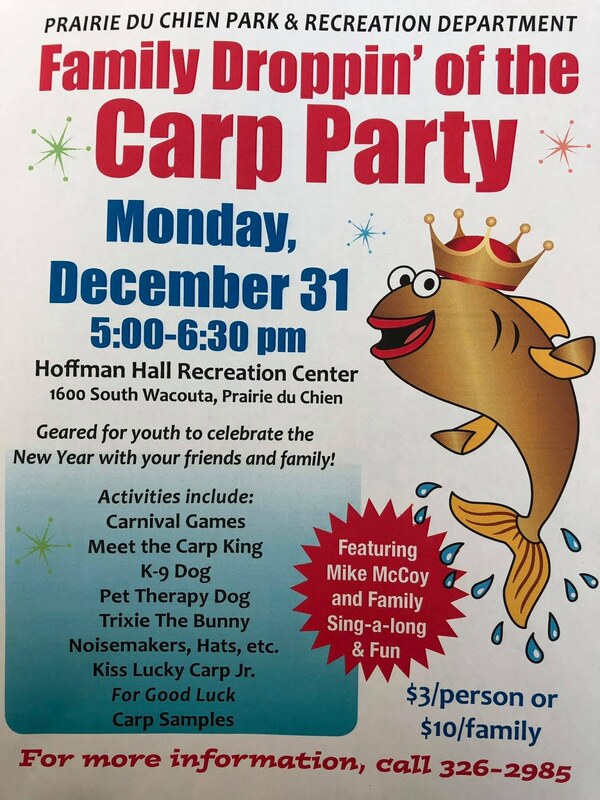 It is open to all children and young adults under the age 17 and younger. 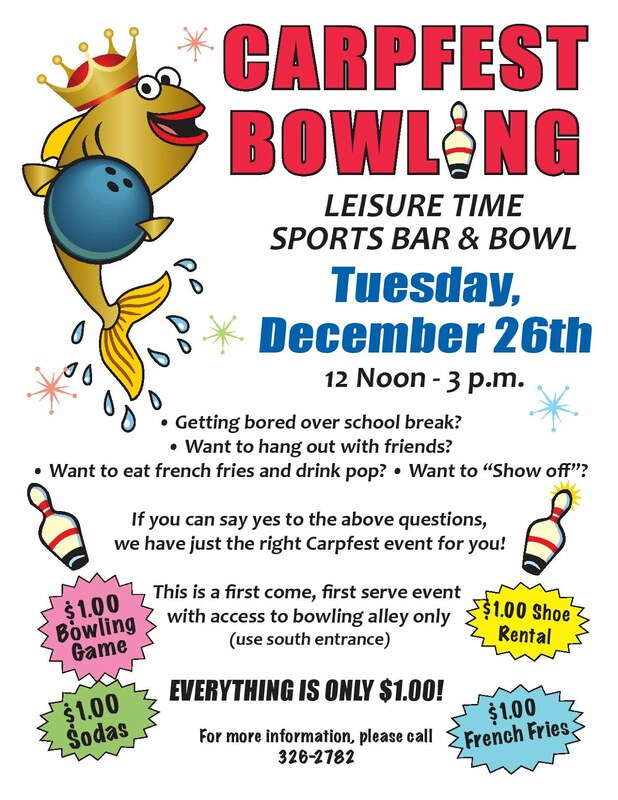 The contest usually runs from the second week in December to the third week. 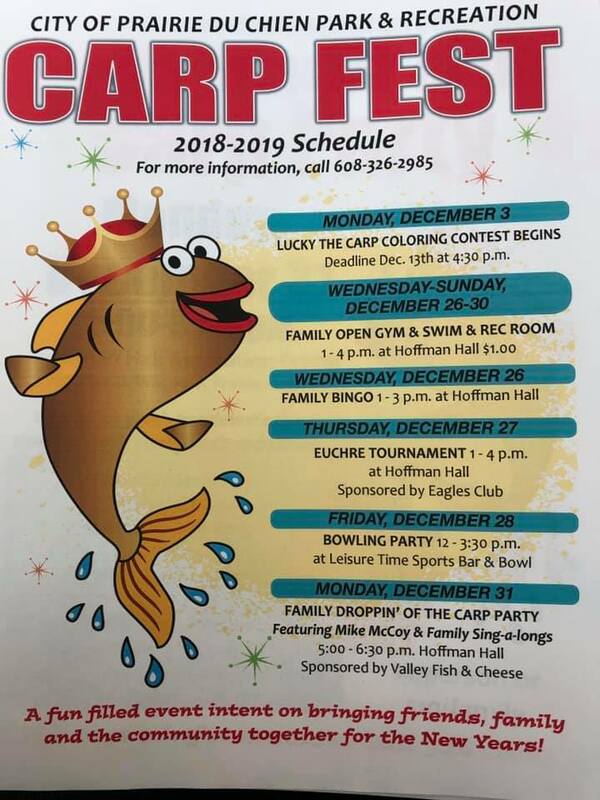 The PdC Parks & Recreation Department & Dropping of the Carp Committee is proud to announce the winners of the Lucky the Carp Coloring contest. 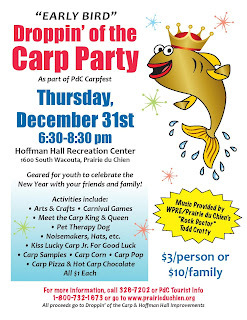 With over 70 entries submitted the committee members really had a hard time picking the top 3 winners as we could see all entries took a lot of time and energy to create their drawings and appreciate their wonderful works of art which are currently on display at Hoffman Hall and later will be taken to Lucky Park for the big New Years Eve Drop!